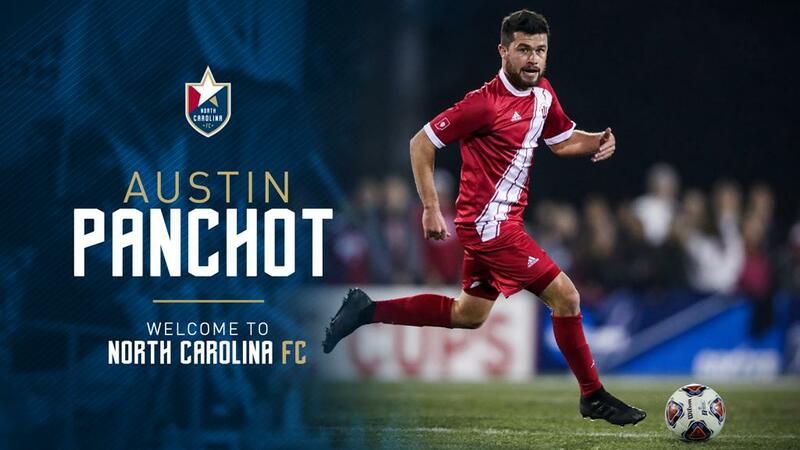 CARY, N.C. (January 9, 2019) – North Carolina FC has strengthened its 2019 roster with new signings midfielder Austin Panchot and forward Yamikani Chester. Both moves are pending league and federation approval. Panchot joins NCFC after completing a standout career at Indiana University. During his time with the Hoosiers, Panchot played 82 matches, scored 13 goals and notched nine assists. In his final season with Indiana, the midfielder helped lead his team to the NCAA College Cup, including scoring two game-winning goals in the NCAA Tournament. Panchot also has local ties, as his father Jeff Panchot played college soccer at NC State. Chester comes to North Carolina FC on a season-long loan from MFK Vyskov – a Czech Republic club that has also loaned striker Donovan Ewolo to NCFC. Chester is a speedy winger who hails from Malawi. Prior to joining MFK Vyskov, he spent his career developing in Malawi’s professional league with Be Forward Wanderers Football Club and Tigers FC. He burst onto the national scene via standout performances with the Malawi National Team in the Africa Cup of Nations qualifiers. Both young talents will join the growing North Carolina FC roster that currently includes goalkeeper Alex Tambakis, defenders Aaron Guillen, Steven Miller and DJ Taylor, midfielders Austin da Luz, Dre Fortune, Victor Igbekoyi, Austin Panchot and Graham Smith and forwards Yamikani Chester, Donovan Ewolo and Marios Lomis. NCFC continues to evaluate players from the 2018 roster in preparation for the 2019 season. Player announcements will continue as the start of an exciting new season gets closer each day. 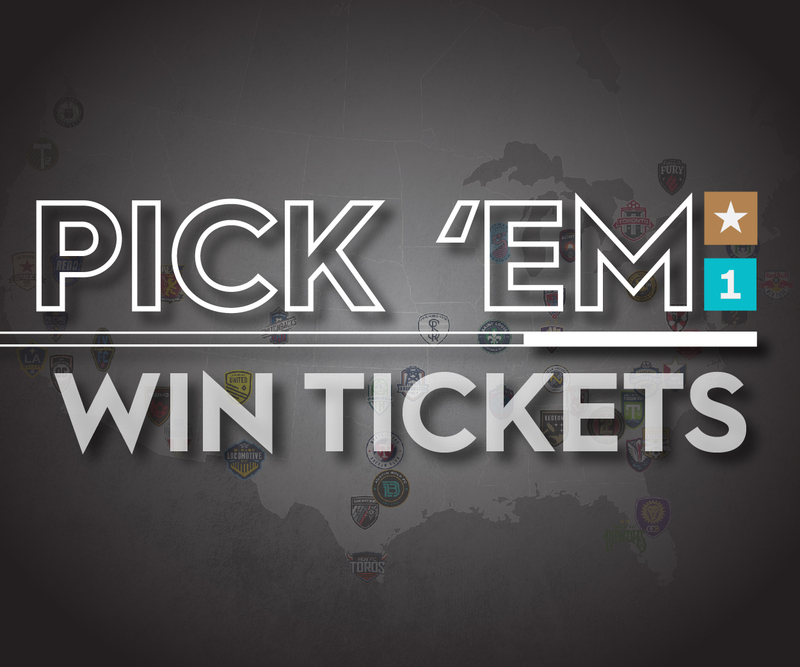 Season tickets for North Carolina FC’s 2019 season are on sale now and feature many great packages and benefits – including the brand-new Auto-Renewal Program and traditional benefits such as exclusive meet the team opportunities. Click here to learn more about season tickets or call the Coastal Credit Union Box Office at 919-459-8144 to speak with a ticket representative. Transaction: North Carolina FC has signed Austin Panchot. 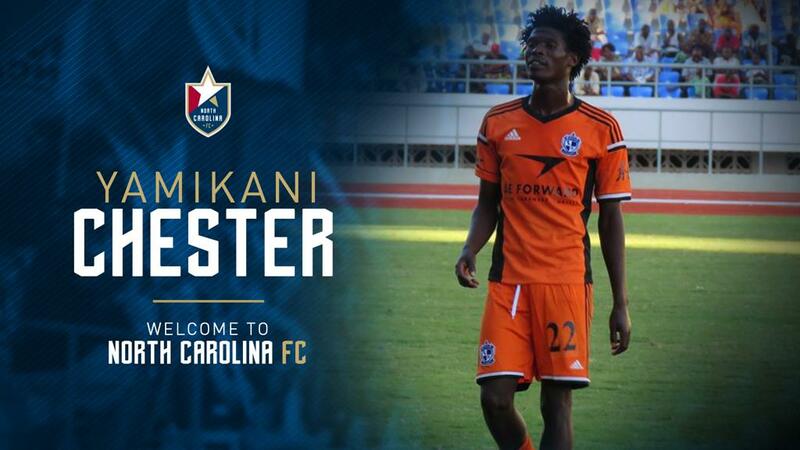 Transaction: North Carolina FC has signed Yamikani Chester.